Linda Strussione joined the firm in November 1983, and purchased the practice in 1991. She was mentored by Gordon Owens to develop the firm with a strong concentration in condominium, homeowner associations and HUD properties. Linda works and manages Owens & Strussione, P.C.’s team of auditors and its professional client portfolio of approximately 200 condominium, cooperative housing and homeowner associations ranging in size up to 691 units. She performs audit and review engagements for these associations and provides consultation services for accounting, budgeting, and tax related issues, as well as litigation support and fraud examination. Linda has been a presenter at numerous conferences for the Michigan Chapter of Community Associations Institute (CAl) and United Condominium Owners of Michigan (UCOM) on topics including reserve funding, budgets, audits, and accounting. Additionally, Linda provides business consulting and tax services to corporate clients in various industries, individual tax preparation, and client representation for Internal Revenue Service, state and local tax audits and compliance issues. Linda has testified as a qualified Expert Witness in both business and condominium related lawsuits. She also provides consultation services for estate planning and trust issues. 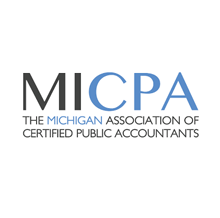 Linda is a member of the American Institute of Certified Public Accountants (AICPA), the Michigan Association of Certified Public Accountants (MICPA), the Community Associations Institute (CAl), and the Michigan Chapter of CAl. She also serves as a volunteer member of the CAl Legislative Action Committee (LAC) since 2008. She was actively involved with the MICPA Government Relations and Regulatory Affairs and lobbyists regarding Michigan House Bill 4355, which became effective January 14, 2014 and clarifies condominium annual audit and review requirements. Linda earned her Bachelor of Science in Business Administration with a major in Accounting from Wayne State University in 1982. In April 1987 she became a member of the Michigan Association of Certified Public Accountants (MICPA), and joined the American Institute of Certified Public Accountants (AICPA) in March 1989.